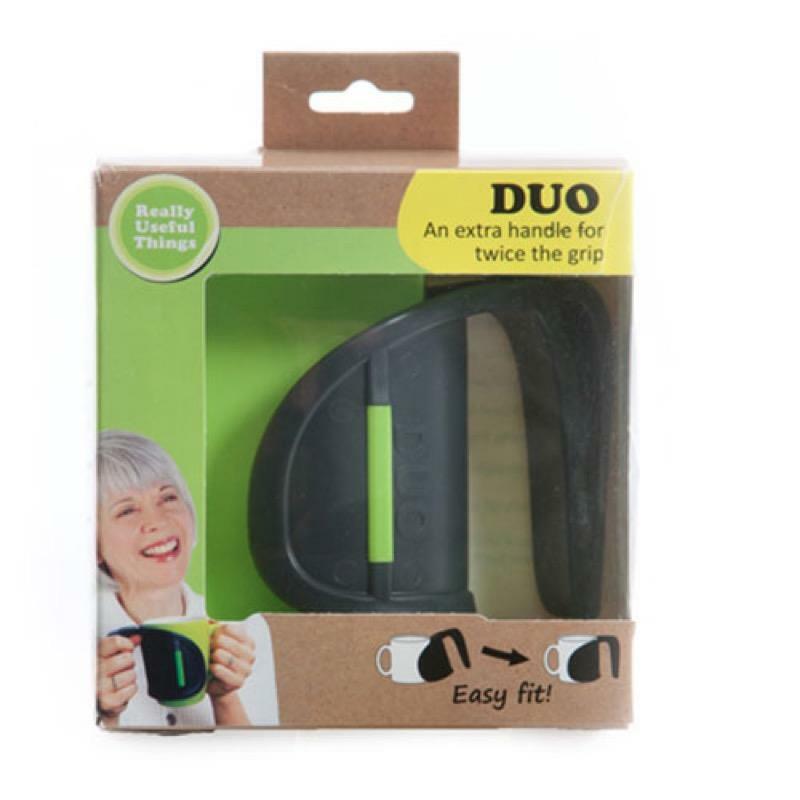 If you prefer to hold your mug with both hands but dont want to purchase lots of new 'two handled' mugs and cups then the Duo clip handle can be fitted to your exsisting mugs. This means your friends and family can call by for a cup of tea and use the same mugs as you.It can be taken to cafes and restaurants and helps increase your grip and stability. The ergonomic clip on handle allows you to hold the mug with two hands and reduces the risk of spills. The wrap around style protects your hands and fingers from the hot mug and is easy to fit and remove.